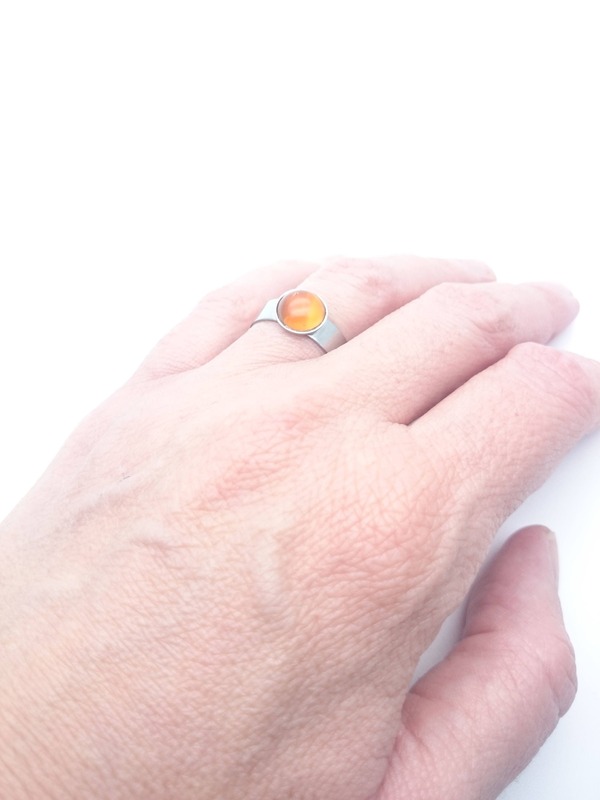 Carnelian silver steel ring adjustable hypoallergenic//Small Carnelian Round gemstone cabochon 8 mm surgical steel minimalist ring. 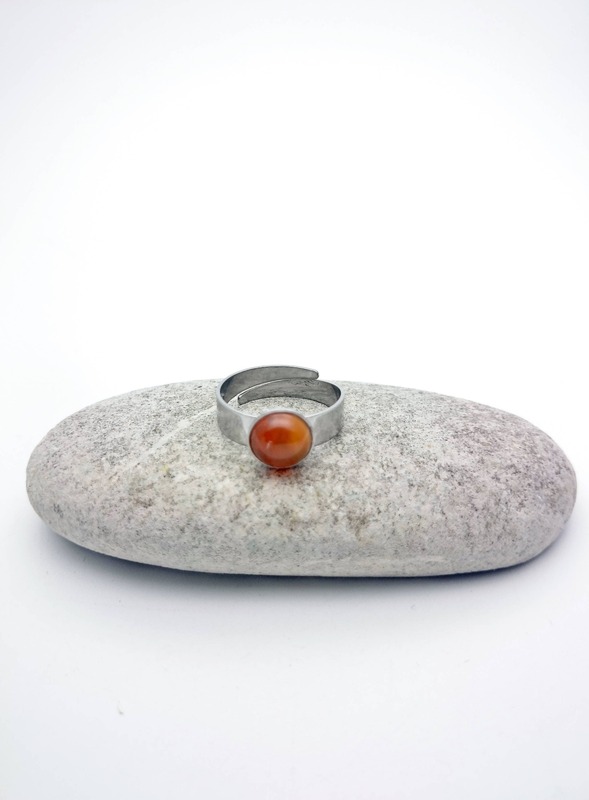 Little carnelian and silver stainless steel ring. 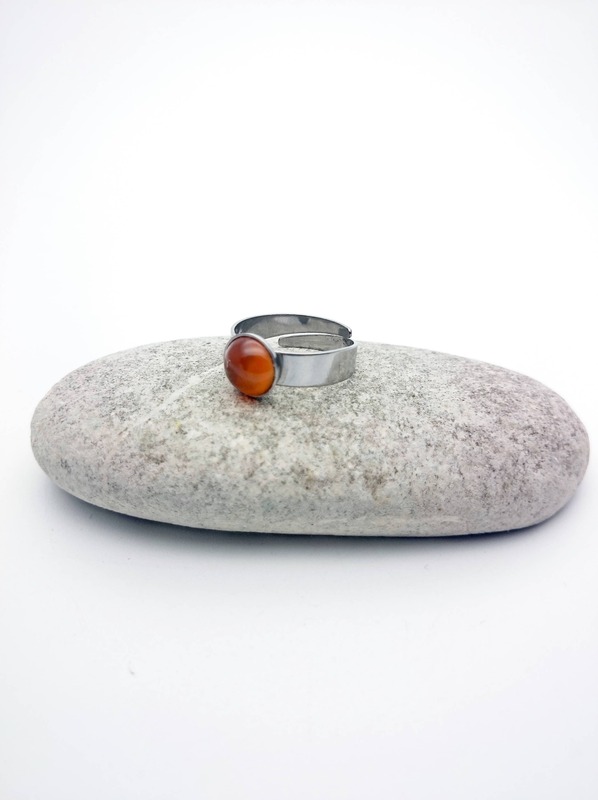 Carnelian semi-precious gemstone (orange/brown tones) cabochon 8 mm and silver stainless steel ring. Carnelian cabochon size : 8 mm diameter. Carnelian natural gemstone is associated with analytical capabilities, physical energy & peace.